for $499,900 with 4 bedrooms and 2 full baths, 1 half bath. This 2,930 square foot home was built in 2005 on a lot size of 1.87 Acre(s). 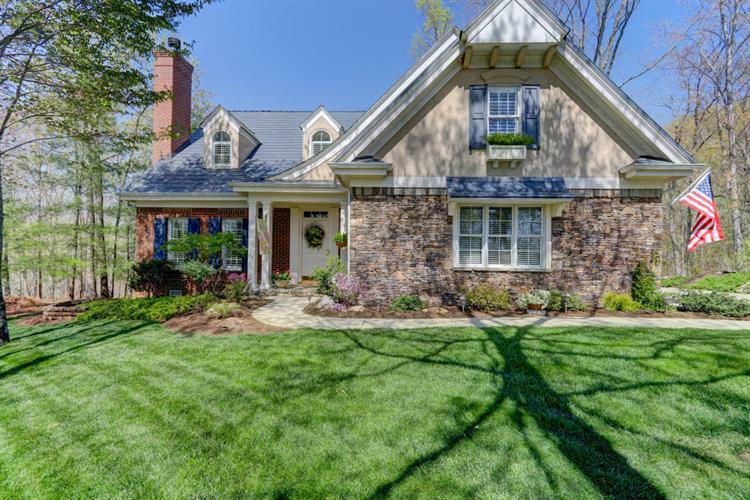 Gorgeous English Cottage on 1.87 acres in private gated community. Exceptional quality & detail in this beautiful custom-built home just minutes from Watts Bar Lake. Gourmet kitchen boasts Corian countertops, farmhouse sink island, new backsplash & Mouser cabinets. 2-Story family rm w/ built-ins & 2-sided fireplace, open to kitchen & breakfast rm. Main level master suite w/2-sided FP, luxurious master BA w/tiled shower. DR w/extensive trim, keeping rm w/FP, SUNROOM, main level laundry. Upstairs offers 3 additional BR, loft area, bonus rm & full BA. Ladd Landing offers 800 acres w/more than three miles of shoreline and 4 miles of fabulous walking trails. The clubhouse offers fitness center, entertainment room, & T-shaped pool. Just off I-40, minutes from west Knoxville, Oak Ridge & Lenoir City.